The Holy Spirit Church is a sacred place, partly through its history and partly through many pious believers of many generations. 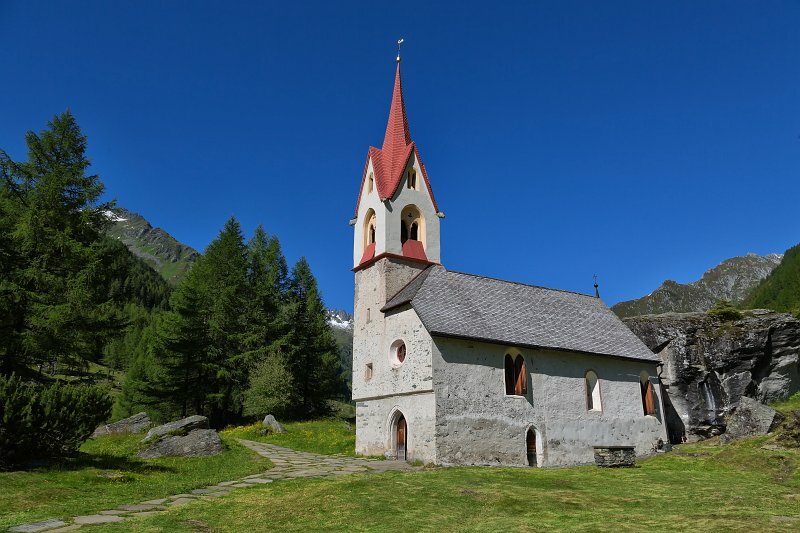 It is not known when the first church was built for the many travelers who used in particular the Krimmler Tauern as a passage to get in the Pinzgau and Salzburg. It is sure that cardinal Nikolaus Cusanus of Brixen dedicated the church and the cemetery in 1455. This was necessary for the people who freezed to death passing the Alps or who died in another way, or for the miners of the Predoi copper mine. In 1500 the church was extended.